The organizational structure of our company is heading towards a better quality of service and consumer satisfaction. We specialize in leading shopping tours for international visitors, whether you’re searching for the latest fashion trends at high-end boutiques or looking for the best deals at outlets and temporary shops. Our shopping tour can provide a truly unique and enjoyable shopping experience in the capital of the world! 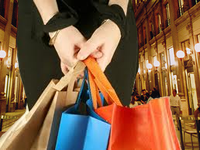 We are available for your shopping tour in Rome in search of big names such as Prada, Gucci, Dolce and Gabbana, Yves Saint Laurent, Louis Vuitton, Valentino, Ferregamo, Tod’s, Loro Piana, Bulgari, Fendi, Ferrari, and company outlets like Castelli Romani Outlet, Valmontone Outlet and many other prestigious brands of major Italian fashion and more. We can take you places far from tourist routes and, whatever you’re looking for, we will be able to find it. The best Italian fashion boutiques are at your fingertips, thanks to the high standards of service provided by Romebylimo. Our mission is to make your visit to Rome hassle-free! Whether you are here for business or pleasure, we are ready to assist you and your group to ensure a memorable trip.